Dental implants replicate the function of natural dental roots after you have lost one or more teeth. These small titanium posts are surgically inserted within the jaw where they provide support for dental crowns, bridges, or dentures. Dr. Bruce Watkins combines integrated technology to achieve optimal patient outcomes during the placement and restoration of implants. The GALILEOS® cone beam computed tomography (CBCT) scanner and digital x-rays are used to carefully plan each dental implant surgery he performs. The 3-D scanner works seamlessly with our in-office CEREC® milling machine so we can design and create custom restorations right in our office. Under 5% of general dentistry practices in the U.S. utilize both of these technologies, a distinction which allows us to provide the very highest standards of care. In addition to making treatment planning more accurate and safe, Dr. Watkins can also reduce the chance of unexpected costs arising, like bone grafting or ridge augmentation. if you have lost some jawbone tissue, we also place mini dental implants that require less bone for osseointegration. Dental crowns are single-tooth restorations that are used to restore a missing or damaged tooth. 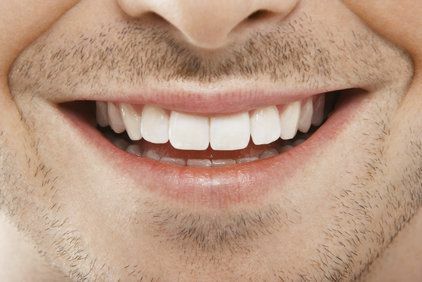 Traditional dental crowns fit over the top of natural teeth like protective caps. Dr. Watkins may recommend you receive a traditional dental crown if one of your teeth has decayed or undergone root canal therapy. Implant-supported crowns fill the spaces in your smile left by one or more missing teeth. This type of restoration is secured by a single post which is surgically embedded in the jaw. Traditionally, crowns require a minimum of two office visits and a lengthy waiting period which requires the patient to wear a temporary restoration. Our state-of-the-art CEREC® technology allows us to create durable, lifelike crowns in just minutes, eliminating the need for a second appointment. All of the crowns Dr. Watkins provides are matched in color to your adjacent teeth for a seamlessly beautiful smile. Dental bridges restore a space left by one or more consecutive missing teeth. Bridges literally bridge the gap in your smile, supported on either side by specialized dental crowns or strategically placed dental implants. Dr. Watkins highly recommends implant-supported bridges for their long-lasting strength and stability. He utilizes porcelain or zirconia tooth-colored bridges whenever possible because of the materials' strength and beauty. While some of the bridges we create are made in-office using our CEREC® machine, others are crafted in our trusted dental laboratory. A denture is a full-arch restoration that replaces all of the teeth in a patient's upper or lower jaw. Traditional dentures are designed to rest directly upon a patient's gums. Implants provide an extra level of support to both upper and lower dentures. 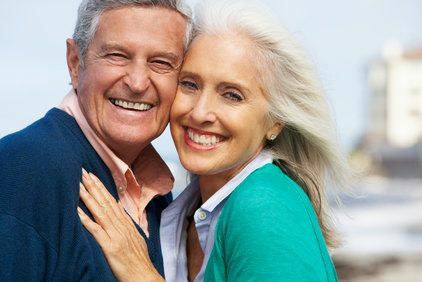 As few as four or six strategically placed implants can support a full denture and give patients extra confidence as they go about their daily lives. 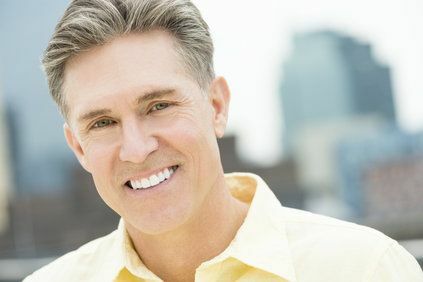 Dr. Watkins uses high-quality acrylic, porcelain, and zirconia materials to create completely natural-looking restorations. A full mouth reconstruction describes a customized plan that helps patients achieve full functionality through a combination of different restorative treatments. To design a full mouth reconstruction, Dr. Watkins will conduct a thorough consultation with each patient to determine his or her unique needs and aesthetic goals. He uses advanced imaging technology, including an in-office 3-D cone beam scanner, CEREC® machine, and digital x-rays, to design a plan to achieve these goals. 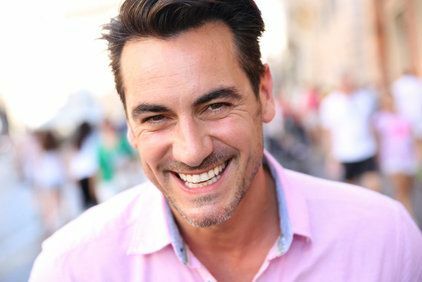 Your full mouth reconstruction might include dental implants, dental crowns, dentures, dental bridges, porcelain veneers, or any number of other cosmetic and restorative treatments. Inlays and onlays are also known as indirect fillings because they are crafted outside the mouth before they are placed in the space left by a cavity. Inlays fit within the cusps on the biting surface of a tooth, while slightly larger onlays extend partway down the sides of a tooth. Dr. Watkins can create inlays and onlays in a single visit using our CEREC® in-office design and milling system. Our porcelain inlays and onlays are designed to restore your tooth with a more conservative treatment than a dental crown. Today tooth-colored fillings are the preferred option for strengthening a tooth after treatment for a cavity. While metal amalgam fillings were commonly used in the past, tooth-colored materials provide several advantages, including improved durability and aesthetics. During treatment, Dr. Watkins will carefully remove decayed areas and clean the tooth before placing a tooth-colored composite filling, restoring the tooth's structure and strength. If you have a problematic amalgam filling, Dr. Watkins can replace it with a tooth-colored restoration. Ridge augmentation, also known as bone grafting, restores bone tissue to the jaw after tooth extraction or in preparation for a dental implant. Dr. Watkins provides this oral surgery to offset the process of resorption that naturally occurs after a tooth is lost or extracted. Ridge augmentation can help restore volume to the jaw bone, allowing a patient to receive a dental implant for a sturdy, natural-looking restoration.